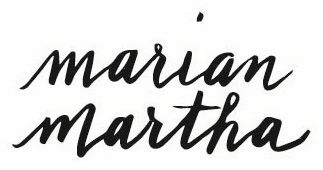 Just released: 2018 Marian Martha Devotional Catholic Planner! This year’s planner is available in full-color or black and white, featuring all original artwork! Both are available in instant PDF download, or spiral-bound hard copy. VISIT THE STORE to purchase today! 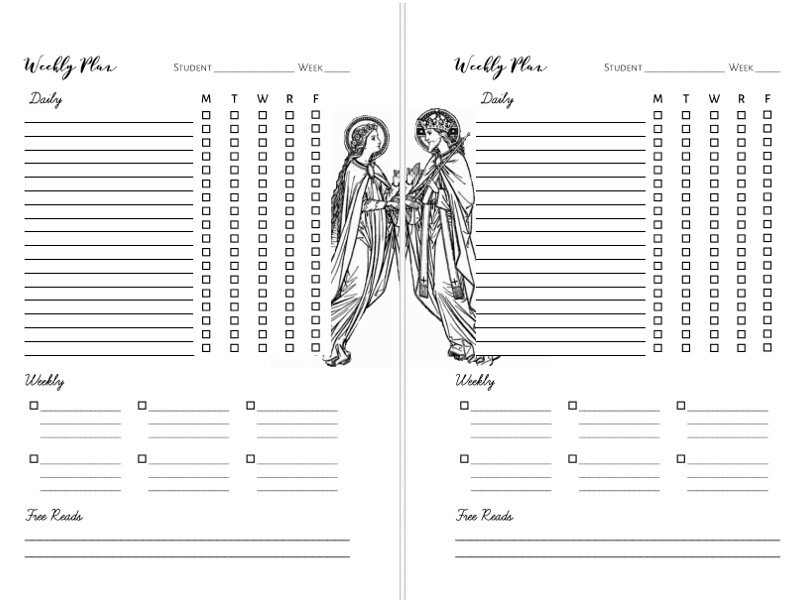 Center the rhythms of your own domestic monastery around the traditional devotions of the church, her feasts and ferias, and the wisdom of her saints, with this beautiful 7″ x 9″ spiral-bound planner. 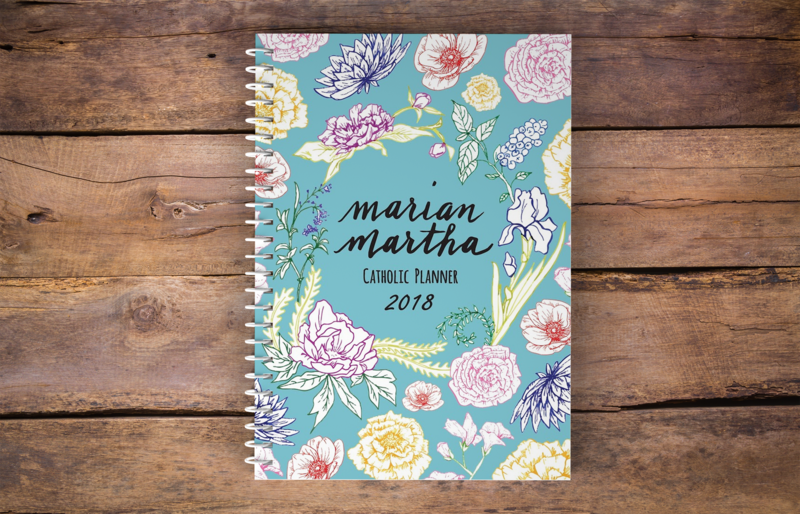 The 2018 planner features all original artwork by the designer, artist and calligrapher Amy Horan! Choose between the full-color planner, with gorgeous colors brightening your planner on every page, or the simple elegance of the black and white version. Available in digital download or hard copy, black and white, or full color! Hard copies are spiral bound for complete flexibility in a black plastic coil. Please click through to my store to see all of the options. 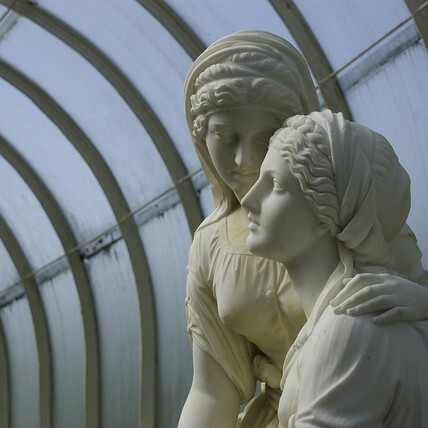 I'm Amy, a terribly unprepared little Martha striving daily to keep the heart of Mary. I'm a convert to Catholicism and Christianity (10 years this Easter! ), a wife and mother of three beautiful blessings. 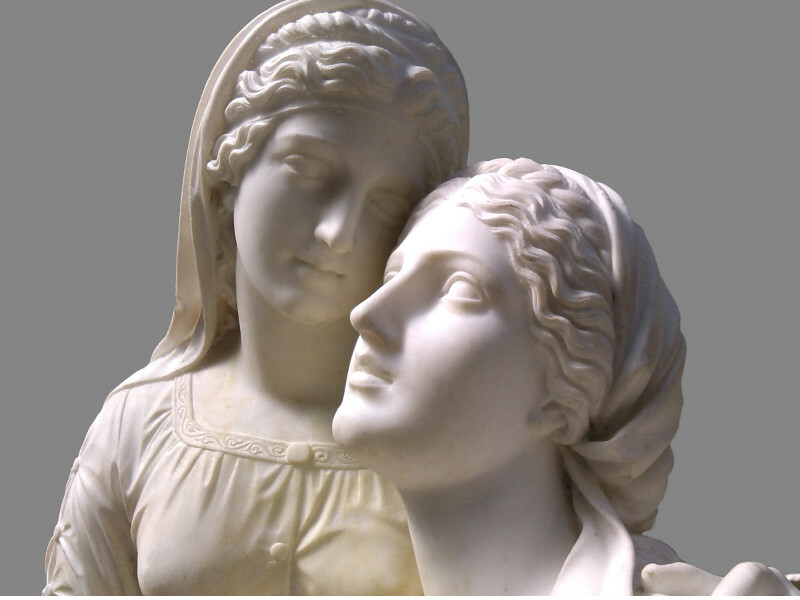 I'm venturing into the brave new world of homeschooling, frugal living, and raising a faith-filled home.